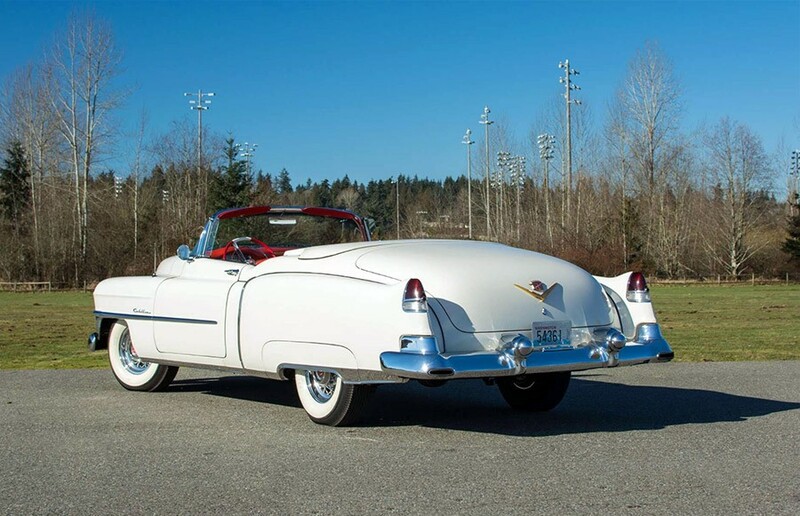 In 1953, GM’s Cadillac Division celebrated its 50th anniversary in style by launching the gorgeous Series 62-based Eldorado convertible. 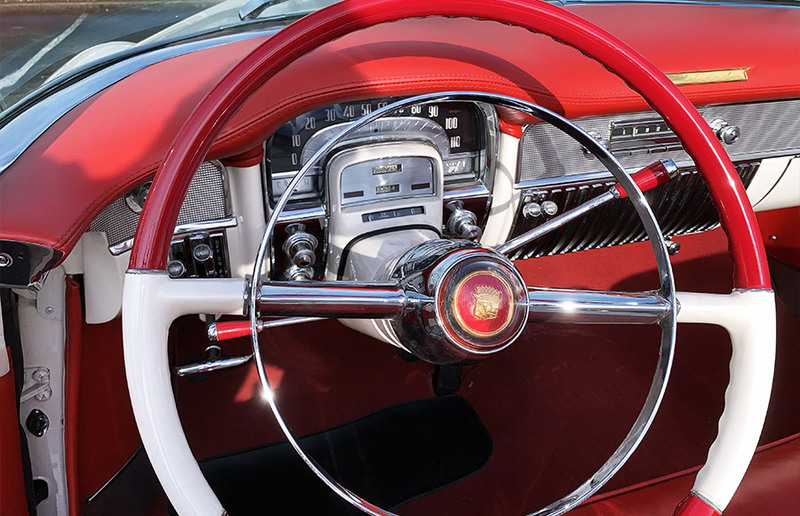 Based on the El Dorado Golden Anniversary concept that wowed spectators at GM’s 1952 Motorama shows, the production Eldorado featured myriad amenities and cutting-edge styling that influenced all GM models during the 1950s. 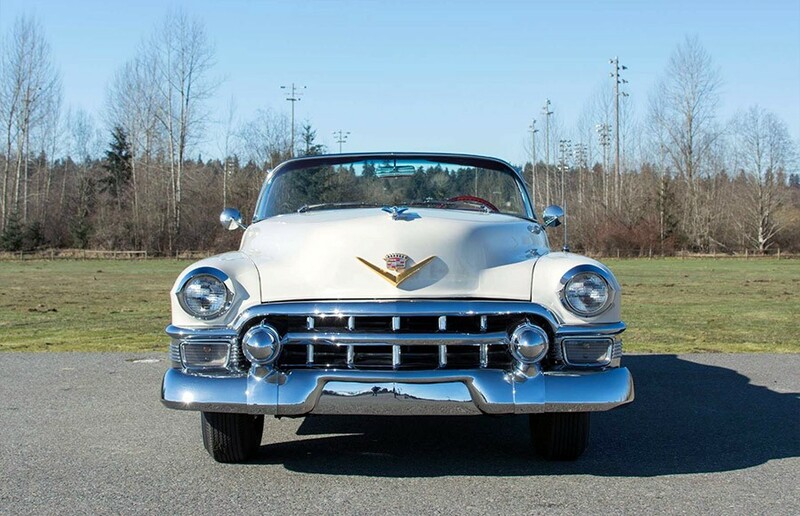 Cadillac applied its traditional engineering prowess to the Eldorado with the powerful 210 hp, 331 cid V-8 engine, Hydra-matic automatic transmission, power steering, power brakes, power top, windows, and more. 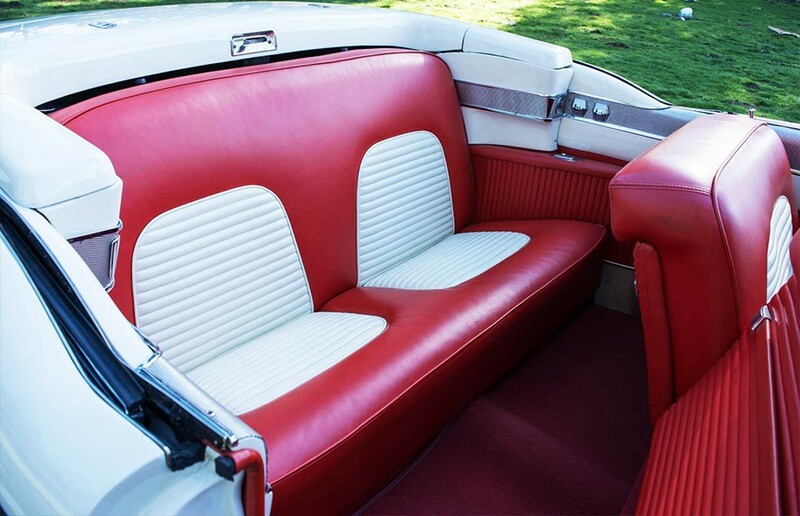 A disappearing convertible top was neatly stowed under the Eldorado’s hard parade boot, and chrome wire wheels were standard. 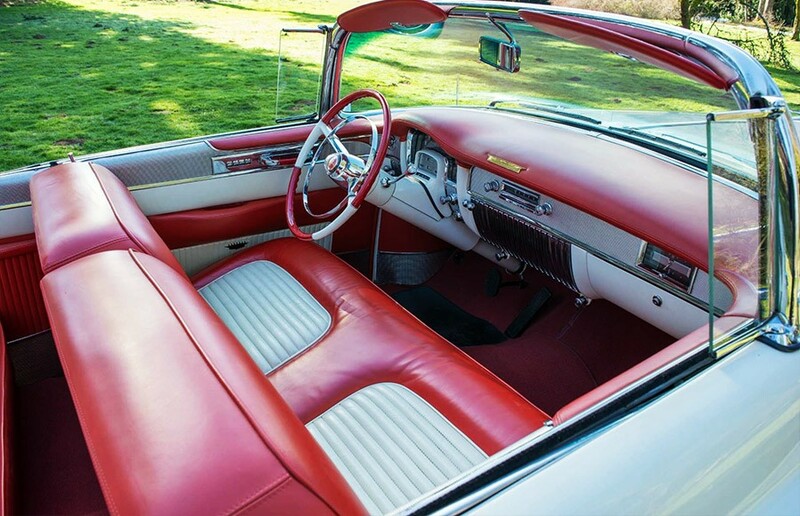 Just 532 Eldorados were hand built for the 1953 model year, priced from $7,750, and the line gained attention when Dwight D. Eisenhower traveled in an Eldorado to his presidential inaugural ceremonies in Washington, D.C.This sleek 1953 Eldorado was formerly owned by Wayne Davis – a Texas collector noted for the first-rate condition and appearance of his car collection – and serial number 536235467 continues to benefit from an older complete body-off restoration. 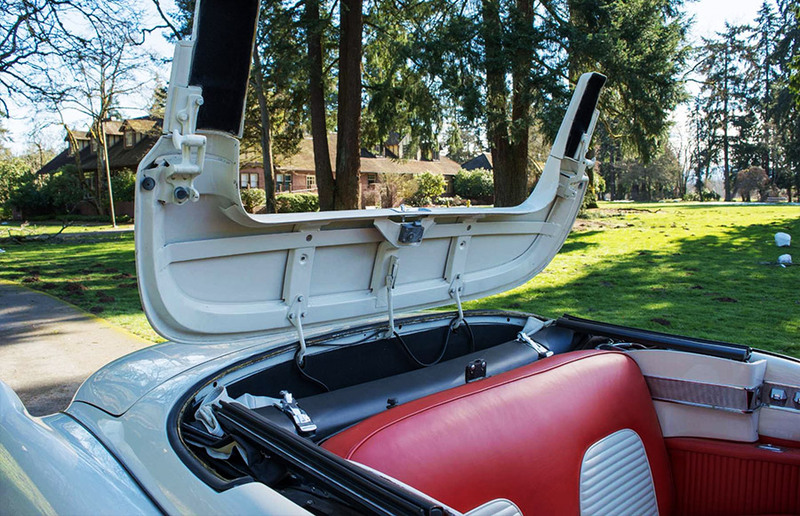 Resplendent in Alpine White paint over red and white two-tone leather upholstery, the Eldorado also features an engine bay and trunk compartment that are nicely finished and equipped to match. 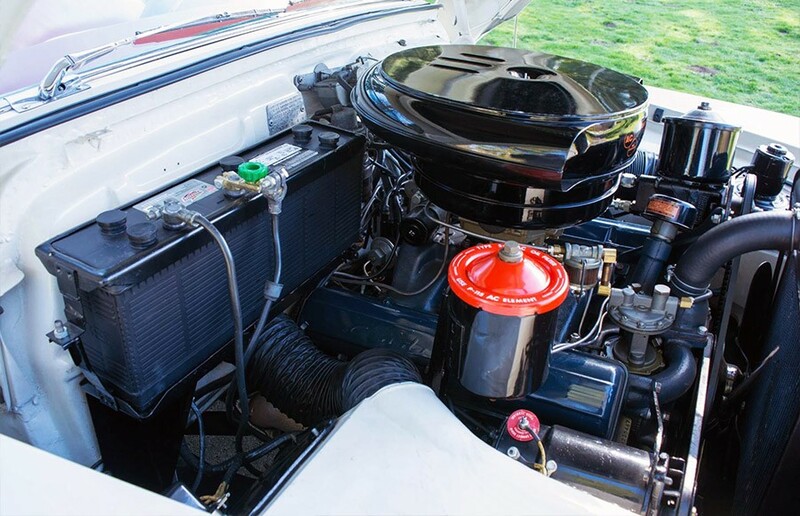 The Eldorado’s extensive list of features also includes such desirable items as back-up lights, wire wheels, twin outside mirrors, and a remote engine-oil filter. 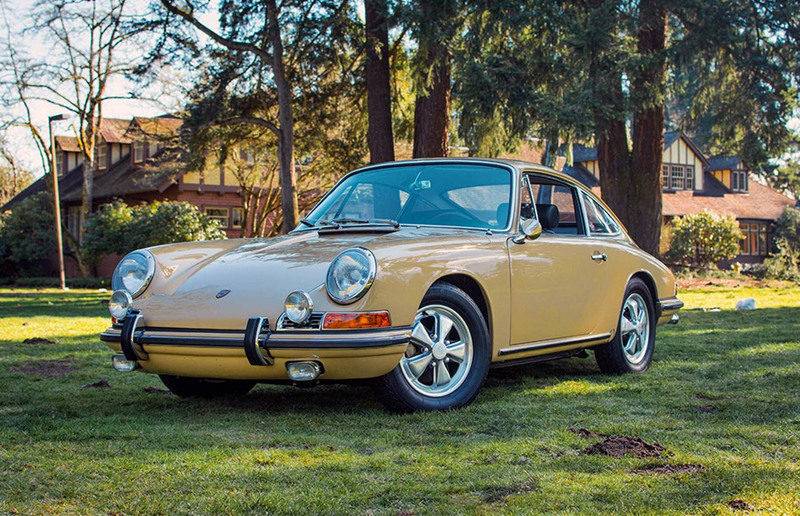 During April 2008, the Eldorado was acquired by Peter Klutt at the RM Dallas TX sale with a record setting, jaw dropping price of $440,000 and formed an essential part of his Motorama-inspired GM Triple Crown, or Grand Slam, representing a rare and commendable achievement in collecting circles. 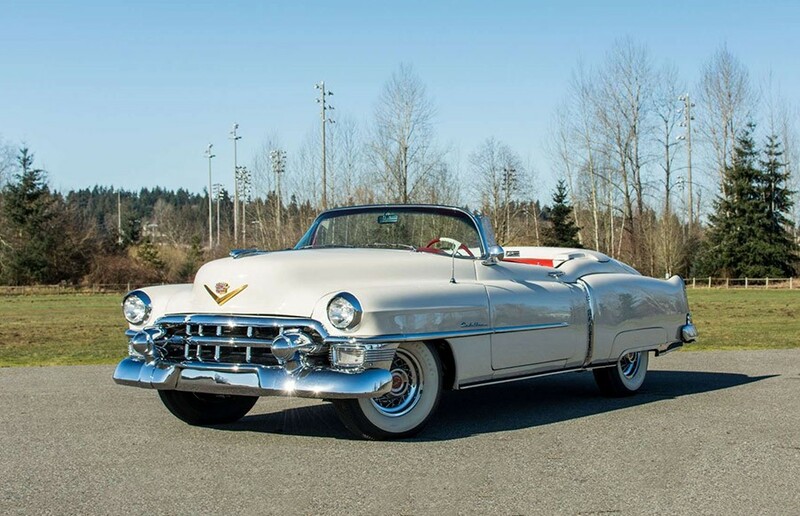 This Eldorado has been in the Northwest since 2015 and has been in the company of other equally impressive, temperature controlled, garage stable mates. 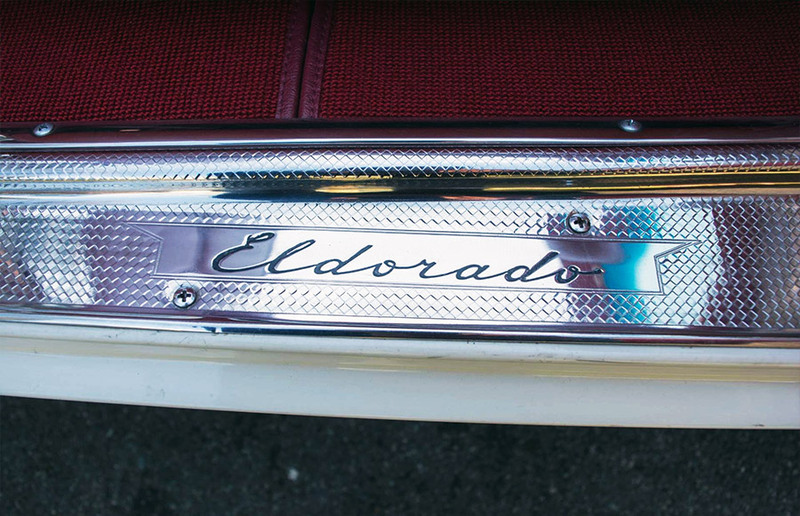 Very few of these Eldorado convertibles ever come to market and with the massive 126 inch wheelbase, tons of chrome, and luxurious interiors, they are sure to be treasured amongst the finest collections across the globe. 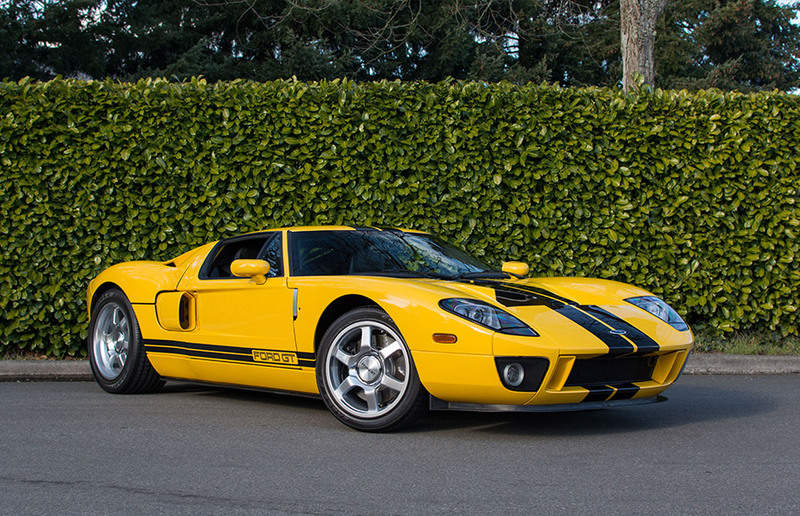 Driving this Harvey Earl era, Detroit built, icon takes you back to the 1950s all over again and it receives many stares, thumbs up, and admiration from passer byes that it rightfully deserves. 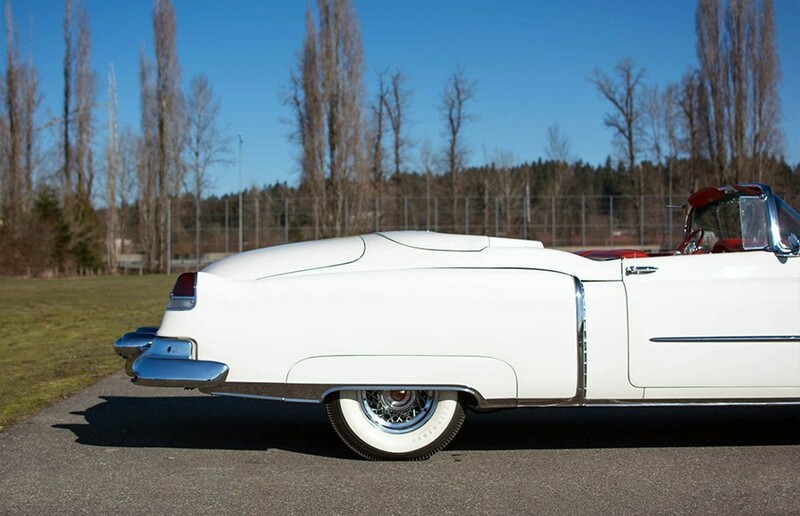 This Caddy is truly king of the road.